Executive Summary. This report is an analysis of the strategy used by the Coca-Cola Company. After a brief introduction, where I detailed the structure of the report and the methodology, the report began with the analysis of the complementary components, starting by looking at the organizational design, then describing the structural components like budget and variant analysis, and then explaining the cultural factors and the human resources’ concerns. The second section of the main body of the report described in further details the effects on the Coca-Cola’s strategy of these complementary components. After that the third section is the alignment of these components with vision, mission and value statements. Then, there is a section where I described three ethical principles and how they are embedded in the company, and then in the last section I proposed two possible changes in order to create a better strategy. My changes are about sustainability and transparency. In the conclusion I made a summary that synthesizes my report. Introduction. This paper is a report about the strategy of the Coca-Cola Company. After this brief introduction, the report will start discussing about some complementary components of the company, like organizational design and key strategic control system, giving some definitions and key facts about how they are present in the firm. The report will also look at the effect of those components on the strategy of the Coca-Cola Company, detailing if they are coherent with their public image. Then, the paper will deal with the alignment of those elements with the mission, vision and value statements of the Coca-Cola Company and other key aspect of the business’ strategy. After that, the report will describe if the company follows three of Finocchio’s ethical statements and the effects of those behaviors on the strategy (Schulman, 2006), before diving in at least two possible changes to make the business’ strategy more adherent with values behind the company, concluding the paper with a summary of the content of the whole report. Most of the sources used were taken from the website of the company and the annual investors’ report, but other sources like credible websites and books were used to support claims and facts when necessary. Complementary components. A key element in analyzing the strategy of a business is to look at the organizational design, extending then the discussion to cultural factors and concerns of the human resources, to have a deeper understanding of the values and concepts that inspire the firm in its day-to-day actions (Triplett, 2013). Every structured business is formed by different departments organized in a hierarchical organization model, so the organizational design is the way in which those departments are organized. There are two types of organizational designs, functional and divisional. A functional organizational design is a structure in which the departments are organized by function, while in a divisional organizational design the departments are organized by divisions (Kesler & Kates, 2010). The Coca-Cola Company is organized both in a functional and divisional structure because it has different departments dedicated to specific functions. It has mainly a divisional structure as there are many subsidiaries worldwide that have some degree of autonomy (Coca-Cola, 2016). A structure like the one of the Coca-Cola Company is necessary to hold such a large scale business running smoothly, because a single division is in charge of taking decisions for a specific market, and in each division it is possible to find different functions. Some functions are centralized to maintain optimum control of the global strategy (Coca-Cola, 2016). As for the strategic control, different tools are used like budget and variance analysis. These tools are needed to assure that strategies chosen by the managers are implemented in the correct way: they also are used as indicators to analyze when corrective strategies are needed. The budget is used to foreshadow the spending, while the variance analysis gives insight on the correction necessary to achieve the global goals of the company (Pearce et al., 2000). As for the cultural values on which the company is engaged with, being a multinational on a global scale means that the company must face with a intercultural and diverse environment, an aspect that is reflected also in the way the company proposes itself to the public. The culture of the Coca-Cola Company should be, at least in theory, inclusive and supportive of diversities. Other values that inspire the company are also business value like productivity and growth (Coca-Cola, 2018). This value reflects also on the human resources’ concerns, as the diversity and uniqueness of a profile becomes a must-have, as well as the need to hire profiles that have the technical skills to maintain the top quality of the work done by the company (Snell et al., 2015). Effects of the complementary components on the Coca-Cola Strategy. The immediate effect of an organizational structure that is both divisional and functional is that it is possible for the company to easily adapt to the challenges and disparities of the different markets. The strategy becomes more versatile and customer-based as, for example, the market from China does not have the same needs as the on from the US. This structure also permits to have a rapid and regional approach where problems rise, without having to wait long time for a central response. At the same time, with a centralized quarter it is possible to conceive and manage a global strategy that involves every division (Johnson et al. 2003). Strategic controls are necessary instruments to ensure that the company can reach its targets and goals. 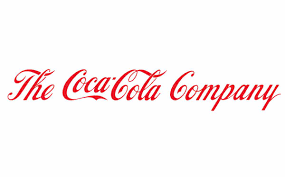 As for the Coca-Cola Company, these tools are the key to maintain control over the division, while at the same time give them the possibilities to achieve their objectives, with the resources given by the central organization. On a general level, budget and variance analysis affect the strategy on a basic level, because they give the company the measure of its performances and how much they can invest in every function of the firm (Pearce et al., 2000). As for the cultural factors, these are already well embed in the tissue of the company, providing them with people from all over the world that can give their specific input in their work in the business. Other cultural factors come from the external environment, and they can influence the business both on a local and global scale. For example, as polar bears become more and more endangered by the extinction threat, with a crescent concern by the public, which has changed their perception, the company decided not to use the symbolic image of a polar bear in its advertisements, to avoid the negative association (Bennet, 2003). The human resources’ concerns do not impact directly on the strategies of the company; it is important to maintain a coherent adherence to the value of the firm to avoid bad publicity and also to assure that the work place is accessible to everyone (Snell et al., 2015). Alignment of the components with the strategy of the company. The structural design of the company fits into their strategy because it brings a diversified and unique approach, making it possible for the company to be the leader in the soft beverages’ sector. This type of structural design is flexible and results-oriented, and it also makes possible a truly worldwide coverage, as the mission of the company says. The ability of adapting to changes is a key feature of the Coca-Cola Company’s strategy, and the functional and divisional structure reflects this clearly (Johnson et al. 2003). I would say that structural components such as budget and variance analysis are aligned with the company’s strategy, because they represent the base by which the strategy is built upon: if the resources required to achieve an objective are not available, it is necessary to change the strategy in accordance with the resources that the company owns. In this sense, the budget and the variance analysis are required for the strategy, as they are necessary to obtain whatever goals the Coca-Cola Company hopes to achieve (Pearce et al., 2000). The cultural factors are well aligned with the company’s mission, vision and value statement, as well as the human resources’ factor. The brand’s strategy is mainly focused on diversity and inclusion, two of the top values of the company. The value statement and the vision are clearly examples of this alignment (Coca-Cola, 2018). Don’t be in an unethical business in the first place. Explicitly articulate values as a key component to the strategy. Values must also be real, and must reflect actual behavior, especially among the organization’s leaders. Be totally transparent with your constituents, and make that part of the strategy. For the first one, somebody could think about the Coca-Cola Company as an unethical business. While the business of Coca-Cola does not involve traditional unethical subjects, some could argue that now, with the information available at the moment, being involved in a business that is linked to serious health issues could be considered unethical. It is also true that the Coca-Cola Company is addressing those issues in its strategy, and most people do not consider those concerns unethical (Carroll et al., 2014). For the second one, the website is clear about the values that form the strategy of the company, as it is possible for everyone to see those values only by looking at the mission and vision page. They reflect true values among the company, and while it is virtually impossible to know if organization leaders really follow them, my hope as CEO is that every person in the company has those values (Coca-Cola, 2018). As for the transparency, there are instruments now to ensure that this is complied through the website and the annual investors, and so transparency is surely embedded in the strategy of the company, though some change are always possible (Coca-Cola, 2018). Proposed changes. As CEO, to ensure the success of the company, I would propose two changes: the first is about one indicator, beside the other components, that should be considered, which is the overall sustainability of the company, while the second regards the transparency of the company. As for the sustainability, I would propose to bring the topic into a brighter spotlight, not only making it a cultural factor, but a main component of the strategy alongside budget and variance analysis. This would lead to a substantial transformation of the company in order to have a circular product life instead of a linear one, while the sustainability would be laid out in other aspects, like the ethics of the firm (Sachs, 2015). For the transparency, besides what already is on the website, I would improve the transparency by hosting events or videos that show to our customer base the product life cycle, as well as the policy for the employments, and the effort the company is putting into the sustainability and health issues, in order to resolve them in the future (Kolb, 2016). Conclusion. In this report, I have described briefly the complementary components of the Coca-Cola strategy, starting with the organizational design, going through the budget and variance analysis and describing the cultural factors and human resources’ concerns that shape the strategy of the company. Then, I described the effect they have on the strategy, also talking about the alignment of those components with mission, vision and value statements. After that, I analyzed three ethical principles that are embedding in the company. In the final section of the report I proposed two major changes in the company, one that regards sustainability, and the other involves transparency.